Posted on August 1, 2013 by Pat B. If you missed last week’s extremely brief offering of the Xbox Live Arcade Action Packed Bundle, which featured five games previously released on Xbox Live Arcade, there’s one game you should definitely go back for. The Dishwasher: Vampire Smile flew under the radar of most gamers when it was released, but it’s a fast, fun, blood-soaked play. The Dishwasher saga was created by independent game designer and head of Ska Studios, James Silva. 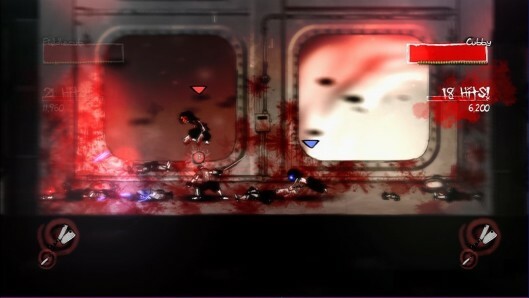 The Dishwasher: Dead Samurai was released for Xbox Live Arcade back in 2009 and followed up by Vampire Smile in 2011. 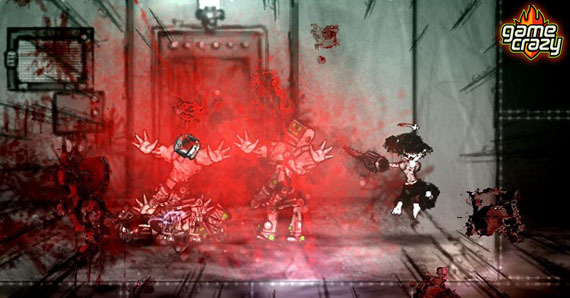 The game is a very stylized 2D side-scrolling beat-em-up that features characters like The Dishwasher, The Chef, and Yuki, a former villain in Dead Samurai who is now a playable character. It’s dark and gritty and mostly displayed in black and white with a few details in color… like the insanely copious amounts of bright red blood splattered all over the screen when the action starts. As you run through the eerie worlds of Vampire Smile, you’re constantly butchering anything in your path, and that’s putting it lightly. The combat mechanics start off with basic sword or weapon strikes that automatically chain together, culminating in ultimate death blows. When you’ve reached the maximum number of strikes to finish off an enemy, a mini quick-time event prompts you to push a button to perform a horrifically murderous final blow on your enemy. The quick-time prompts are small, which makes them easy to ignore, but I recommend using one from time to time as they’re nice exclamation points to the combat. I know, I know, I just bashed quick-time events, but the ones featured in Vampire Smile are a little different. 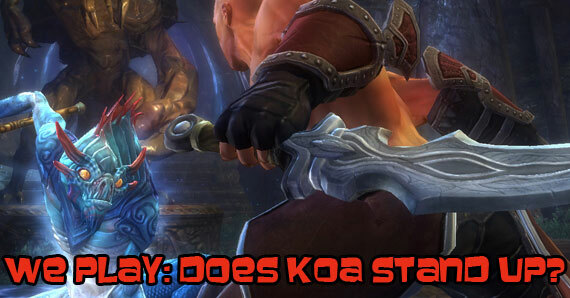 If you don’t press a button when prompted to do so during combat, nothing happens. You’ll continue to hack away at enemies with modest sword strikes until they’re reduced to hamburger, but you won’t get to see the grand finales of death. 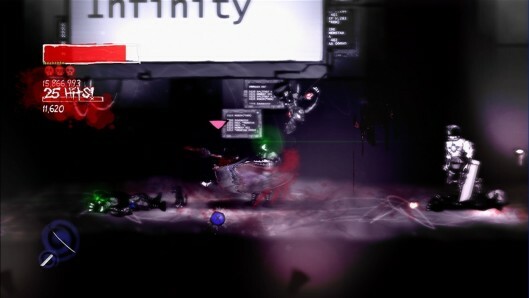 As for the combat itself, it flows smoothly on the screen with very easy and forgiving controls that stay out of the way, allowing you to fully immerse yourself in all the gory action. If you haven’t played The Dishwasher: Vampire Smile yet, do yourself a favor and download it now. This entry was posted in Review, Xbox and tagged 2D games, side-scrolling, ska studios, the dishwasher, the dishwasher: vampire smile by Pat B.. Bookmark the permalink.